Gaussian Elimination with Partial Pivoting and Householder QR factorization are two very popular methods to solve linear systems. Implementations of these two methods are provided in state-of-the-art numerical libraries and packages, such as LAPACK and MATLAB. Gaussian Elimination with Partial Pivoting was already known to be P-complete. Here we prove that the Householder QR factorization is likely to be inherently sequential as well. 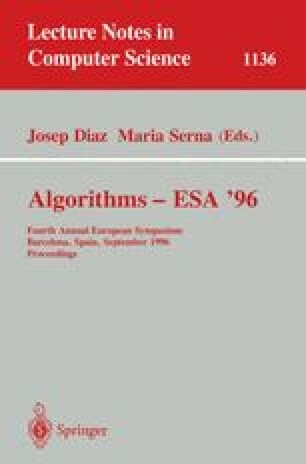 We also investigate the problem of speedup vs non degeneracy and accuracy in numerical algorithms. Partially supported by the ESPRIT III Basic Research Programme of the EC under contract No. 9072 (Project GEPPCOM) and by MURST 40% and 60% funds.